Sharings caring so why not spread the love! 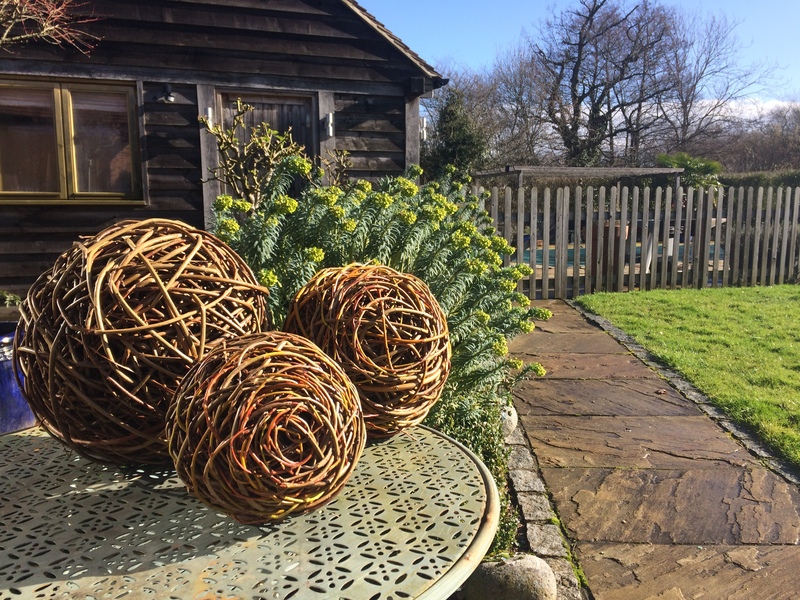 OK, so we launched our signature course ‘How to Create a Willow Deer’ earlier this year and typically for me, I went about it the wrong way around! Which is the story of my life. I always ran before I walked and spent a lot of time face down on the floor!… I need to stop assuming other people are happy to risk this recklessness! What we should have done was launch our willow sphere course first! 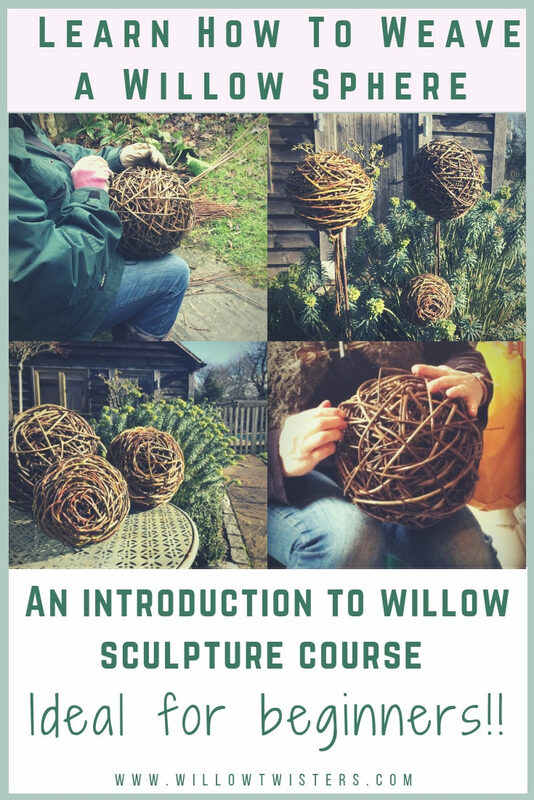 If you have never worked with willow before this course will really familiarize you with the medium and give you the confidence to try something with a little more shape and form for your next sculpture. 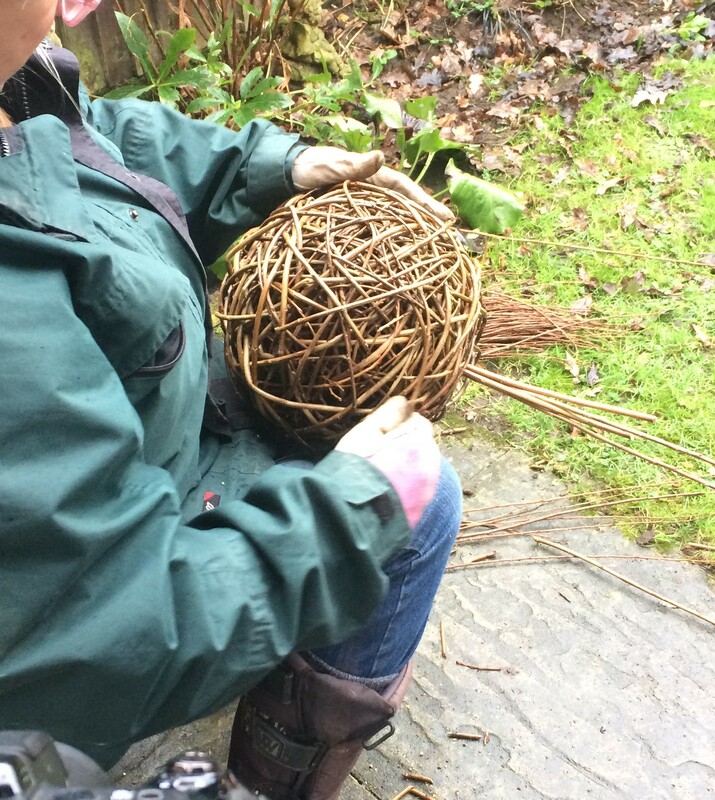 Learning how to weave and sculpt a solid willow sphere will teach you all the skills and techniques you will need to follow my unique style of willow sculpture. This additive method will use repetitive procedures and as the sphere builds in size so will your competence and your ability to understand how the willow responds to manipulation. You will also learn how to monitor shape and form which is a crucial skill when creating more complex and intricate subjects. The course is short but nonetheless packed with everything you need to know to weave a sphere. PLUS BONUS MATERIAL ! 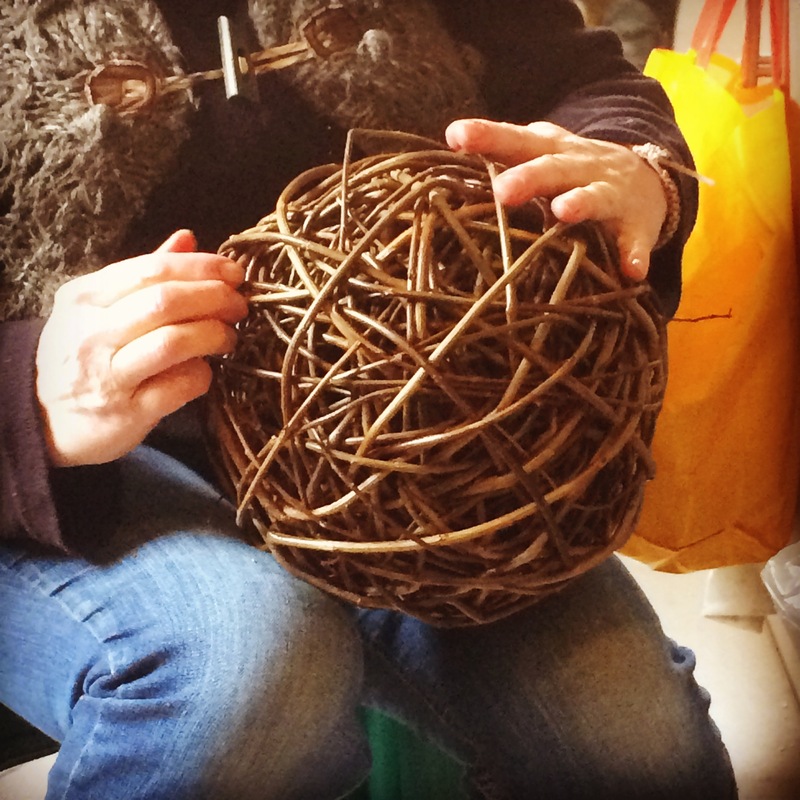 – Sara will show you how to turn your willow sphere into an elegant willow seed head ! WATCH THIS SHORT VIDEO TO FIND OUT MORE ! This course will be launching in the spring ! (April time) an ideal time of year to learn this unique, therapeutic craft ! IF YOU WOULD LIKE TO BE KEPT NOTIFIED OF WHEN THIS COURSE LAUNCHES THEN PLEASE FILL IN YOUR DETAILS BELOW AND WE’LL KEEP YOU UPDATED ! YES I'D LIKE TO BE NOTIFIED ! Sign up now for our newsletter !